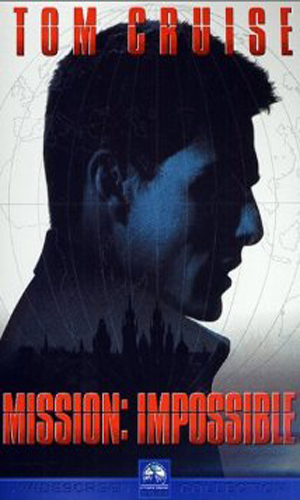 Ethan Hunt is an agent with the Impossible Mission Force. In his early 30's as the series begins, he moves from being the right-hand man and go-to guy for the team leader to being a team leader himself as the series progresses. His role changes for a time to near retirement as he becomes an instructor to going back to the field when the situation gets crazy enough to demand id. A product of a solid mid-Western farm upbringing, Hunt loved challenges and pushing himself harder than any employer would imagine. After college, he joined the military and moved immediately for membership with the Special Forces. After his tour of duty was ended, he was recruited by the CIA to be a field operative and did that for a handful of years before growing very disillusioned by the petty bickering and bureaucracy of the Agency. He knew he was going to leave but the question remained where to and that was answered with Jim Phelps, current leader of the highly secretive IMF and one of the co-founders of that department, courted him and wooed him into the fold. For the next half decade he moved up the ranks at the IMF and proved over and again how resourceful and capable he was. And his friendship and loyalty to Phelps grew along with it, even when Phelps reluctantly allowed the IMF to be swallowed up by the very Agency that Hunt had grown tired of. As long as Phelps was buffer in between, Hunt was content. In the IMF, Hunt's role was that of the infiltration man. An incredible gift with languages, paired with an almost uncanny mimicry ability, made Hunt a perfect agent to assume roles that got him into places he was not meant to be. Adding in the lastest of facial masking and voice alteration, he could become just about anyone. When, as it sometimes did, a plan went wrong, his physical prowess and quick thinking kep him alive. 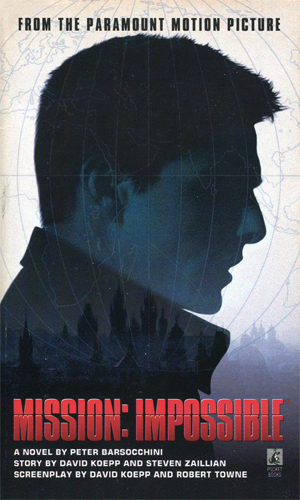 A novelization of the first movie in the Ethan Hunt/Mission: Impossible reboot, the book came out at the same time of the movie. Extremely well-written and filled with a ton of information on the various characters, it was a great addendum to the series and managed to present a lot on data on Ethan Hunt that never had a chance to be made known. This was especially good since the first movie was so hard to follow. In the book, it all makes perfect sense and is logical and exciting to follow. That is quite a treat and one impressive feat. There were supposedly two additional books in the series released in the same year. Of one I have found a synopsis. Of neither have I found anything else. If anyone has proof of them (cover scan would be nice), I would love to hear of it. There is a mole in the IMF team and Ethan Hunt must find that person while being hunted himself. An American Senator finds himself kidnapped in Mexico while visiting an archaeological dig. The cartel now holding him demands the release of the leader's brother from prison. It is the job of the IMF under Ethan Hunt's leadership to free the Senator and take out the cartel. Being a huge fan of Mission: Impossible during its television run in the 60s-70s, and still a fan though less so with the reboot in the late 80s, I was excited to hear that it was being brought back, this time for the big screen. I really liked Tom Cruise and was optimistic about the prospects. I was very disappointed with the confusing storyline and mad as all get-out with the identity of the bad guy/mole. The action was terrific, though. One thing it was not, though, was anything like the MI of old. But it was exciting. Four years later the next installation of the series came along and this time the story was not quite so difficult to follow. The action was still there and a new character, played by Thandie Newton, was worth the price of admission all by herself. The movie was enjoyable and mostly mollified my continued anger over the first movie's ending. After another six years, the third movie made me a believer and a solid fan again. It still was not the old-style IMF at work but it was a darn good story with a really good villain and Maggie Q so what was not to like. The fourth one was the best so far and had a team of actors that were fantastic on their own and really complimented Cruise. The fifth has even more action and excitement. A mole in the organization has disrupted the mission and put Ethan Hunt under suspicion. Now he must clear his name and unmask the mole without the help of his group. The disease, genetically altered to be exceptionally dangerous, is called Chimera. It is the mission of Ethan Hunt and his team to steal it but someone has stolen it first. Going up against a particularly vicious and sadistic arms merchant is hard enough without having to keep his girl friend safe. 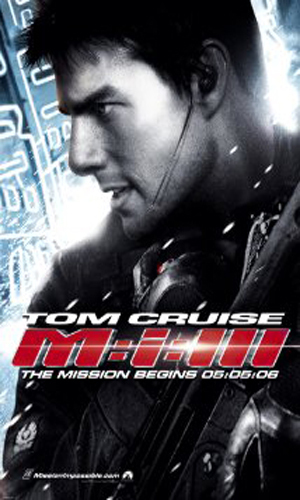 The two missions seems doomed to clash unless Ethan Hunt can work a miracle. Blame for the bombing of the Kremlin is cast on the IMF team, forcing it to be shut down. The Director is killed. 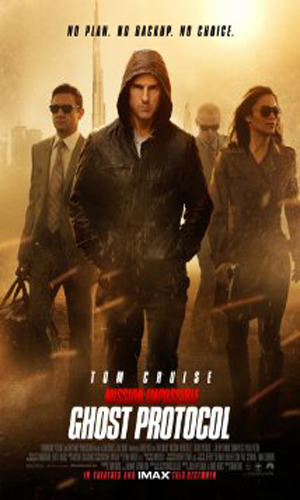 Ethan Hunt and his new team must go on their own to catch the guilty party to clear the organization. 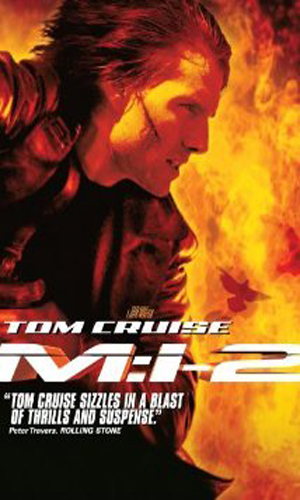 Ethan Hunt and his IMF team must go up against a group called the Syndicate, an international organization of operatives as skilled as Hunts' and now dedicated to eradicating the IMF. In 1996, Paramount Studios was ready to make a major push to maximize its intellectual properties. One of these steps was a partnership with Marvel Comics to create its own imprint of comics. 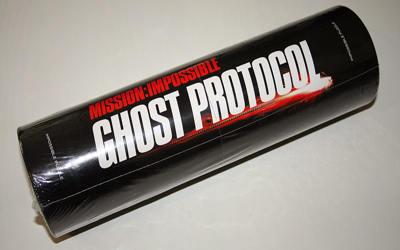 The first to be released under this label was a comic dealing with the characters in the soon-to-be-released action remake, or continuation (depending on one's take) of the Mission: Impossible line. 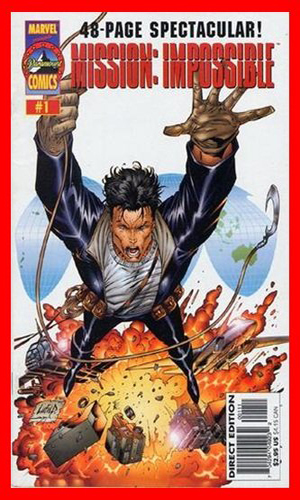 To set the scene for the characters in that movie, especially since the main character, Ethan Hunt, was a new name to the franchise, the storyline in the comic was a prequel adventure starring Hunt with the other IMF teammates. There was only one comic made in this subject, and only a couple more comics made at all by Paramount (in the Star Trek and X-Men universes). 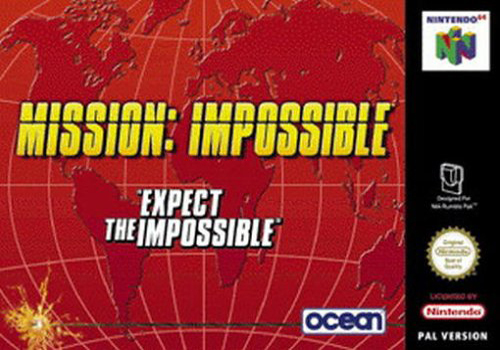 1 Mission: Impossible - "Expect The Impossible"
For Nintendo 64. The game was loosely based on the 1996 movie. It is an action and third-person shooter type game. The player controls the Ethan Hunt character in the game and has to complete tasks disguised or undetected. The person playing can choose from a number of gadgets and weapons. A 500 piece puzzle made as a promotion for the 4th movie in the film series. 2. 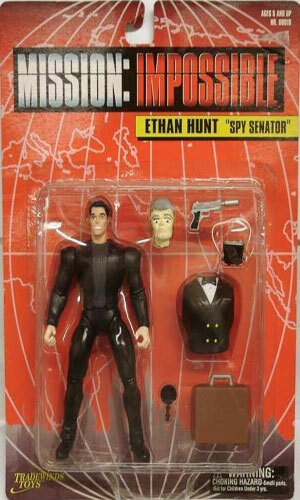 Ethan Hunt "Pointman" - He can disguise himself as Anatoly the Russian Godfather. 3. Ethan Hunt "Fireman" - He can disguise himself as a fireman to get into CIA Headquarters. 1. 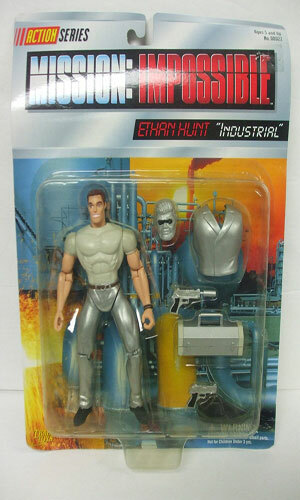 Ethan Hunt "Industrial" - So he can evaded industrial sabotage. 2. Ethan Hunt "Aquatic" - To help in his get-away. 3. Ethan Hunt "Safari" - He's on the hunt for something. I was thrilled when I learned in the mid 90's that they were making a big screen version of my beloved Mission: Impossible although I was not too sure about how Tom Cruise would fit in. When I discovered the role of Jim Phelps would be played by Oscar winner Jon Voight, I decided to go on opening day. I was enchanted, excited, confused, and then infuriated with the movie. How dare they make a bad guy out of Phelps! Let me at the director or writer or whatever nitwit thought this a good idea. I think I was still mad when the second one came out a few years later. Mad as heck but I still went. And fell in love with Thandie Newton. The movie was quite good, too, especially with Anthony Hopkins playing the new Director. The movie had some critics but I was not one. Nor was I anything but thrilled with the third and totally blown away with the fourth. I am a huge fan now and eagerly await the rumored fifth movie in a year or two. 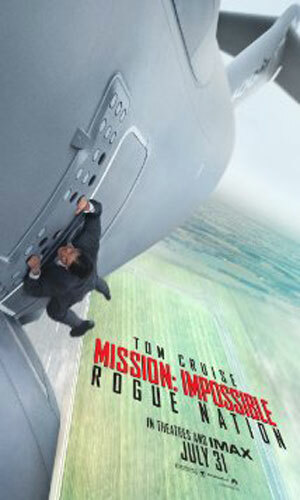 Of course, there is a lot of debate in the spy-fi circles as to whether this is really Mission: Impossible. I tend to side with those who say it is not but those who say yes also have a point. Whatever it is, it is exciting and fun and that is why I read and watch spy stories.